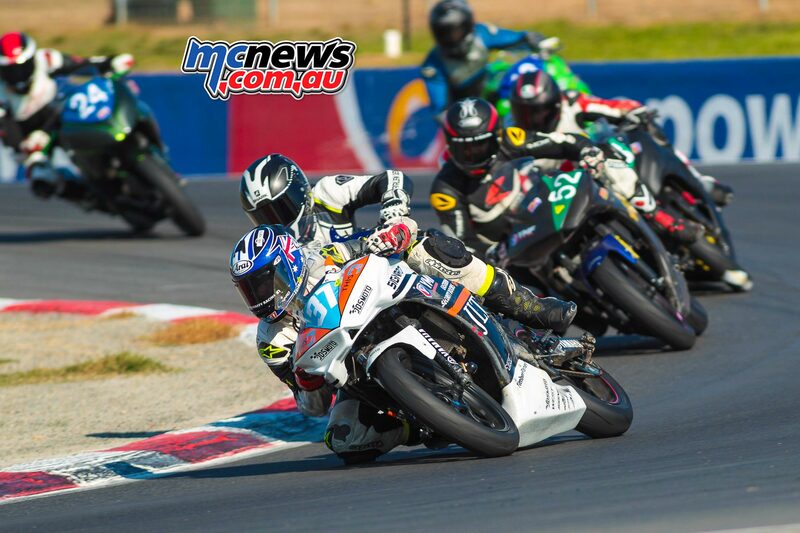 Round two of the 2017 Victorian state motorcycle road race titles, The Pirelli Motul Victorian Road Racing championships, took place over the weekend of the 6th & 7th of May under almost perfect conditions for both the riders and spectators alike. 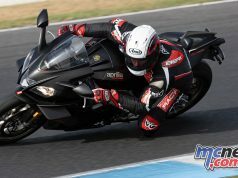 Tyres were the main talking point among riders on the Saturday morning, especially with the Pirelli Supersport riders having great difficulty in getting the tyres to hold together for more than half a dozen laps. Some of the right hand sides of the tyres on the front runner’s bikes looked very average and were tearing themselves to bits. It appears the tyre issues which plagued riders at the National round the week prior, were to continue over the weekend. It wasn’t an issue unique to Pirelli either, with the other tyre manufacturers also having difficulty in getting a set up with suspension and tyre pressures that would allow more than a handful of laps before the tyres started deteriorating badly. 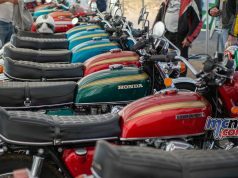 Considering the temps being mild and the sun being out for most of the day, it was odd to see these issues effecting almost all riders. 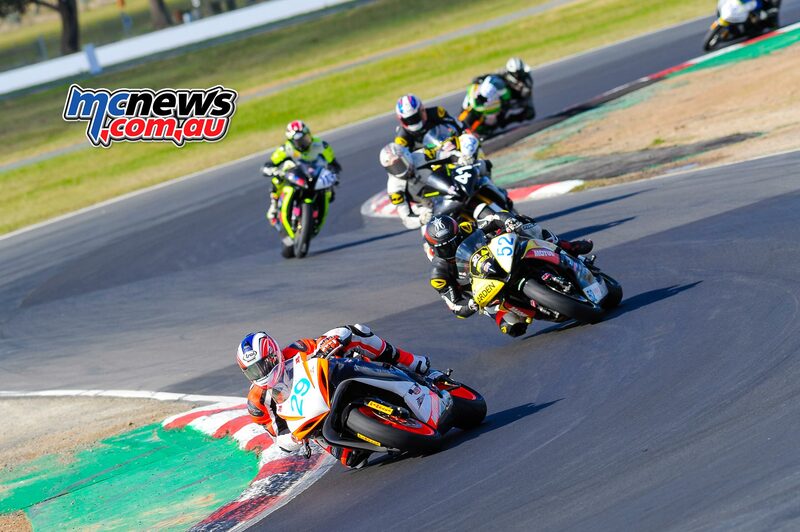 Picking up from round one, the siblings Nathan and Tyson Jones dominated the Superbike class and again battled each other for race wins and fastest laps, while Dean Oughtred and Steve Tozer battled hard for the final step on the podium and third place for the weekend. 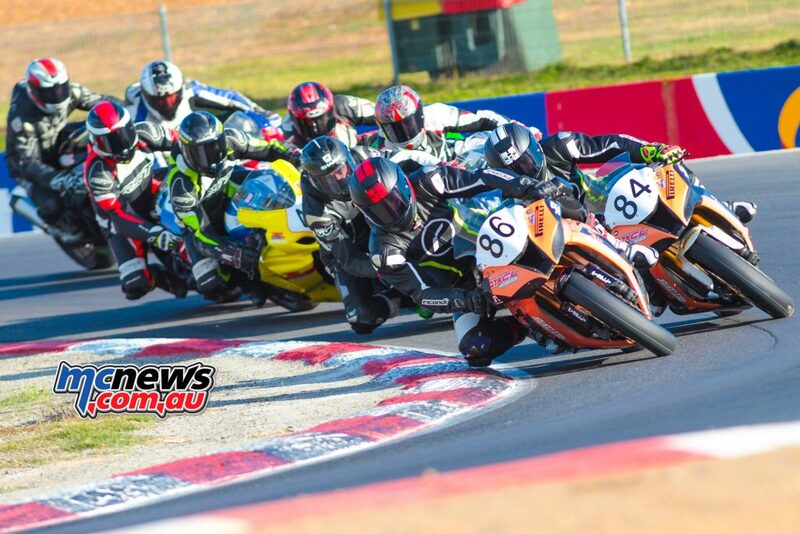 Cody Travers, Jake Drew and Nathan McKenzie fought it out for the B grade state honors and Trent Binaisse took out C grade, showing that he may well be re graded at the end of the year if his riding continues at this level. 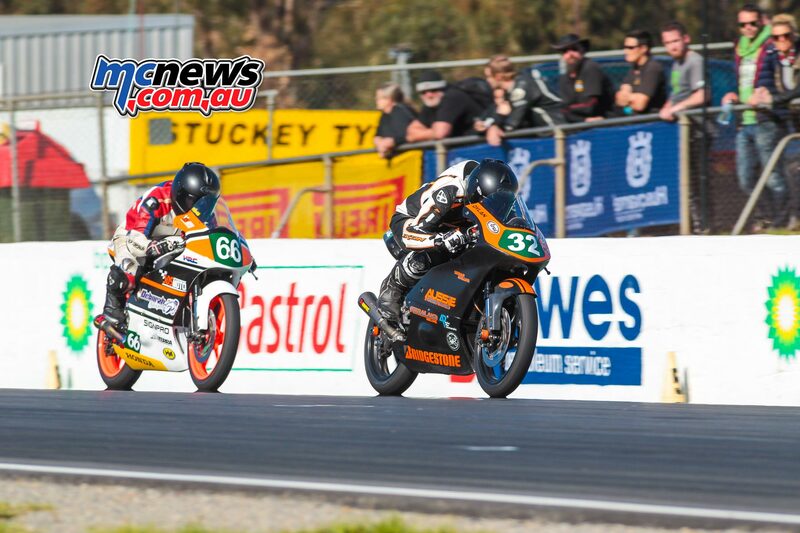 With him beating out all bar two of the B graders, as well as all his C grade competitors for the overall results on the weekend and placing him 5th overall in the state championship thus far. The ever consistent Supersport specialist, four time state Supersport champion and multiple lap record holder, Ryan Taylor on the RTR by Moto Obsession Yamaha R6 continued his form and was pretty much untouchable all weekend, although race one saw him make an unusually slow start it only took a lap or two to make it to the front, before clearing off into the distance. Brendan Wilson, Shane Maggs John Quinn and Adrian Forde all shared in the minor placings, making the supersport races one of the more entertaining races over the weekend. Brendan Wilson who had a blinding start to the year in the first round at Broadford, doing double duties on the 400 and breaking the lap record, as well as keeping Broadford specialist and team mate/owner Ryan Taylor honest, had a somewhat mixed weekend, with a run off in race one ending his chances of a podium, although he still sits second overall in the championship. 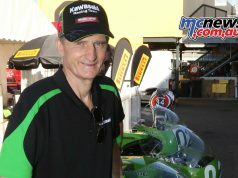 Adrian Forde had a cracking first race and was wringing the neck of his old Suzuki GSX-R600 in an inspired ride as well. 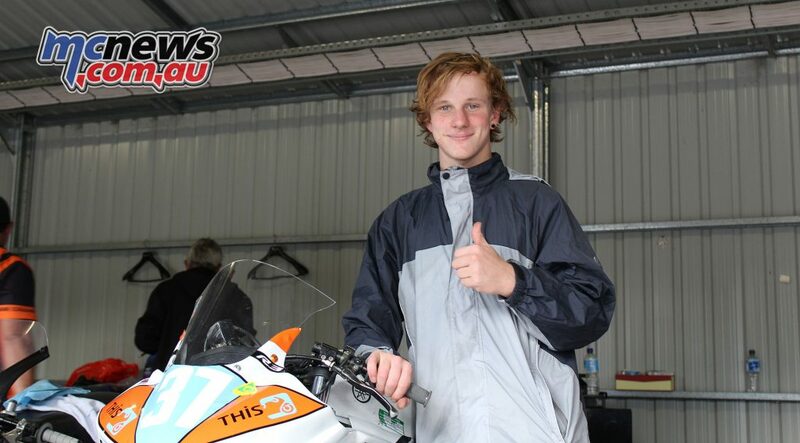 Jack Mahaffy on the JDS Yamaha R3, showed his huge talent and future potential, absolutely blitzing the entire production class field all weekend, showing the experience of his national level meeting at Winton the week prior. He was absolutely spectacular to watch, with the bike swapping front and rear end loses as he exited the esses onto the short circuits main straight. Speaking with the very humble and likeable Jack after race one, it was slipped that he was using used tyres from his previous round, which made the wins all that much more special. This young fella can ride! I enjoyed watching him more than any other rider over the weekend and cannot wait to see him eventually riding a Superbike at the front of the national field in years to come. 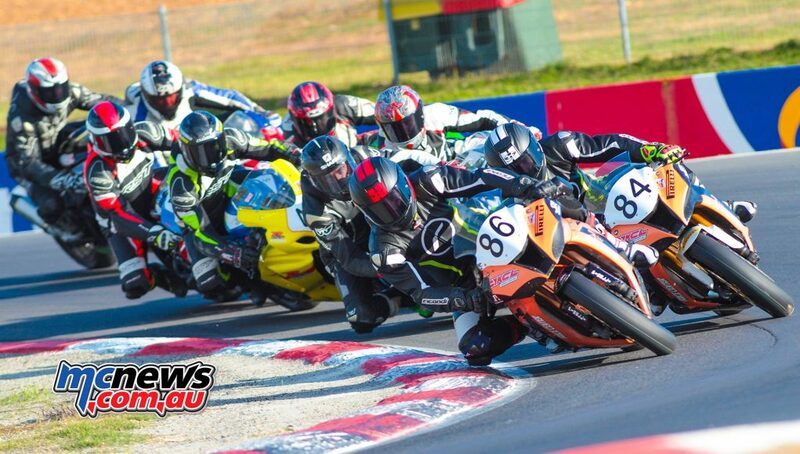 Jake Skate, team principle of the JDS Moto Team, had his work cut out for him over the weekend, fettling around six bikes. When I spoke with him Saturday morning, he was busy fitting a steering damper to Jack’s R3 to stop it shaking it’s head through the esses, which Jack later said fixed the problem. He does a fantastic job across multiple classes of Juniors, Production and Moto3 to have all those bikes running and handling spot on. 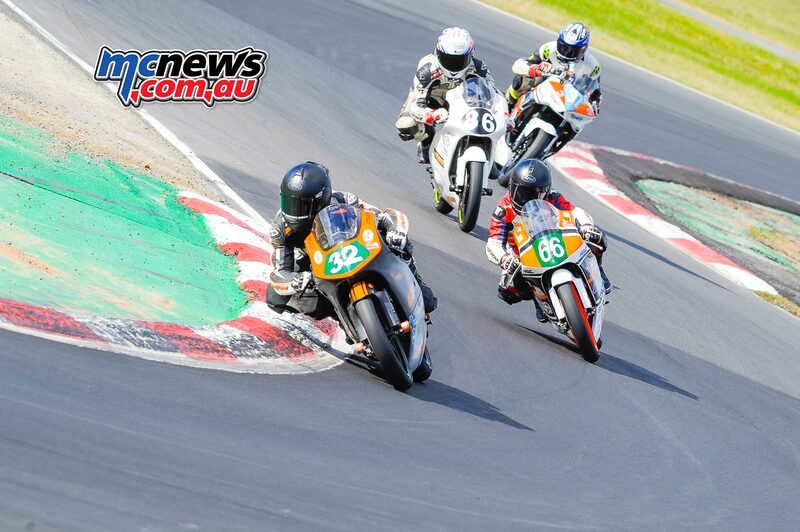 In the Moto3/125GP class, Dylan Whiteside on the DJW NSF250 Honda didn’t have it all his own way this weekend, with both Dallas Skeer and an injured Joel Ricky Kelso on the JDS Moto NSF Honda, (which was graciously provided by Deborah Funoo), taking it right to him across the weekend and sharing the wins, with Joel Kelso taking the overall round win for the weekend. This class was perhaps the most exciting to watch all weekend, with the lead changing almost every lap and the top three finishing close enough to throw the proverbial blanket over them. 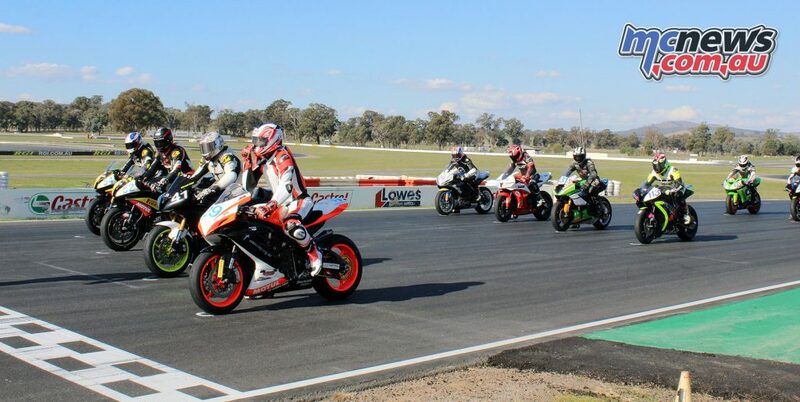 Only the DNF of Dylan Whiteside in the second race spoilt the entertainment, with Dylan pushing just a little too hard through the sweeper and low siding the bike. 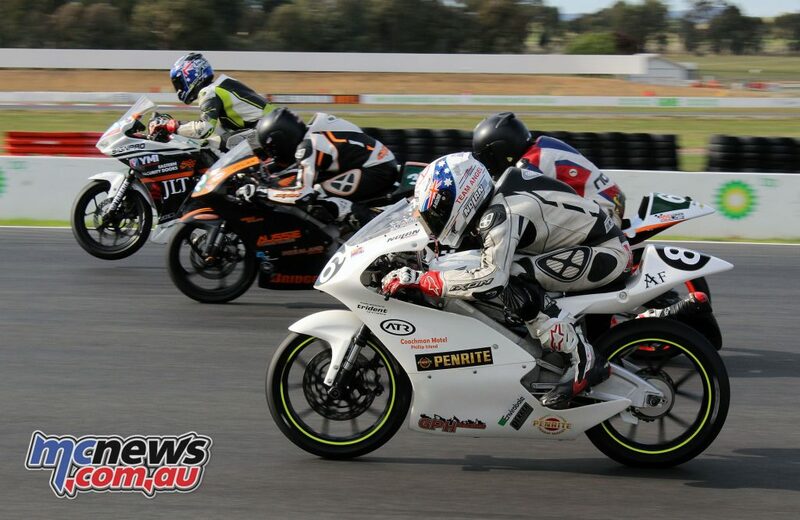 The Juniors also rode the wheels of their machines, with young Joshua Hall, winning two of the three races on his little 70cc 12″ wheeled Metrakit 70cc two stroke, beating the much more powerfull and larger wheeled machinery of Luke Power and Reece Oughtred. 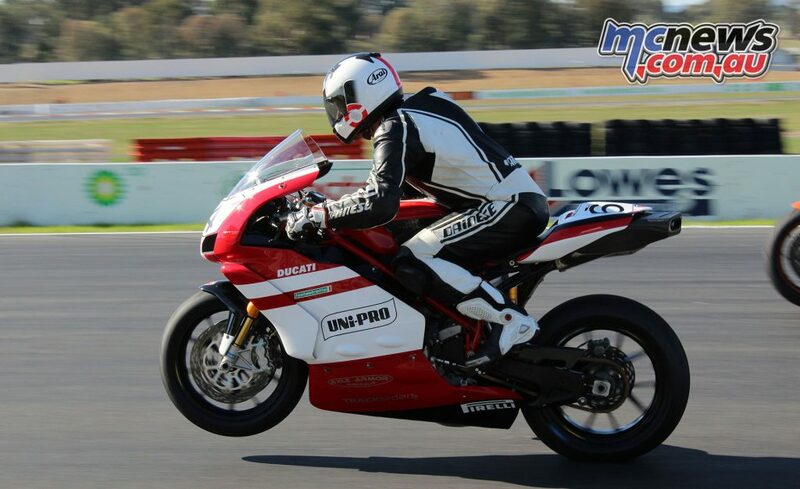 David Simpson made a welcome return to racing on his ten year old, but immaculately prepped Ducati 999. He not only took out the Bears Formula 2 win, but also bested every formula one Bears bike to the line. He was just simply in a class of his own and was a pleasure to watch. His hiatus from racing, obviously taking nothing away from his speed and consistency. Lap after lap he was pinpoint accurate and as smooth as butter, narely putting a wheel out of line and his late race pace showed he lacked nothing in terms of bike fitness. Simpson also cross entered into the Forumula 1 class and blitzed the likes of Nuthin Mawson and and Donny Owen.